The Nova are machined from heavy-duty aluminum so are both lightweight and built to last. They are easy to use and provide lots of burn time. A 50 percent mode allows you to increase burn time if you don't need the full power. 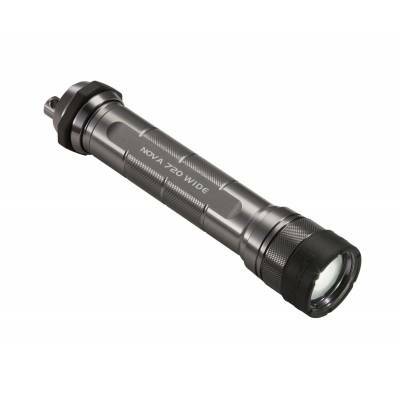 The Nova 720 WIDE delivers brilliant illumination to light up the dark spaces and bring out the vibrant colours on night dives as well as day dives. For tech divers looking to brighten their dives, the Nova 720 WIDE can't be beaten.